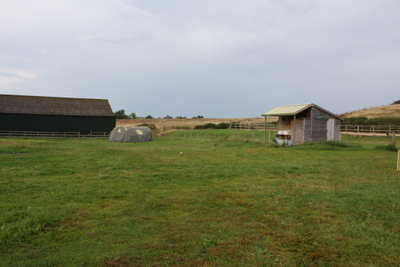 Facilities: Two Family shower rooms which also house two flushing toilets plus two composting toilets in another field. 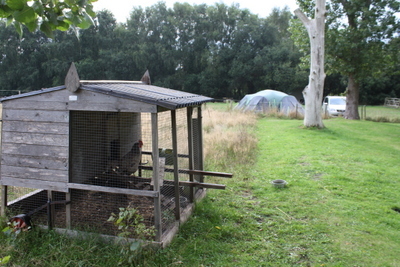 Undercover, outdoor washing up area with hot water. The review: This area of Dorset is one of my favourite parts of the UK. It offers so much variety: the fantastic coast line including iconic spots such as Lulworth Cove, Dancing Ledge and Durdle Door, as well as the beautiful beaches of Studland with their family friendly shallow seas and miles of nature reserve sand dunes; the pretty market town of Wareham and the stunning ruin of Corfe Castle, the heathland nature reserves and the breathtaking views over the estuary to Brownsea Island and Poole. There is plenty of walking to be done and so much to see. The only thing this area lacks is campfire campsites. 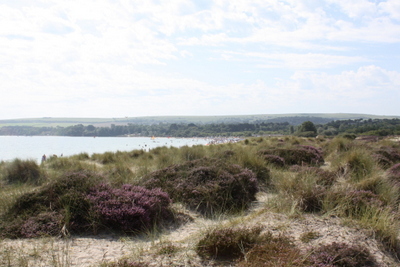 Beautiful sand dunes and Studland beaches. 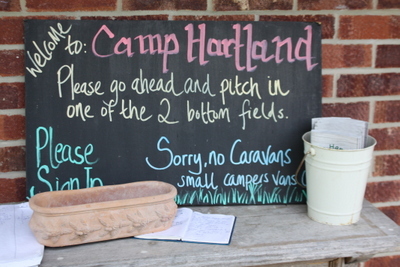 Camp Hartland is a pop up site, open for just 28 days in August. However, time and thought has clearly been applied to the facilities. The showers are large, powerful with a luxurious amount of pegs and shelves in the room. Such bliss! The site is small and was very quiet when we were there but there are only two flushing toilets which are in the same room as the showers. 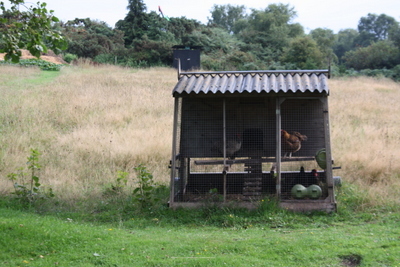 Consequently, in the mornings you may have to wait a few minutes, however, there are two good composting loos in a nearby field so you have options! 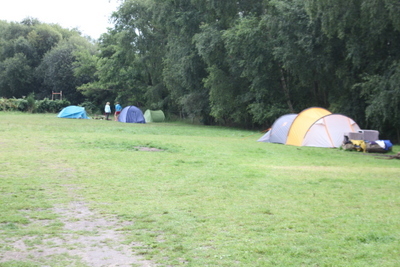 The two smallish camping fields are basic fields, a little rough under foot and the grass a little long – for me these are good signs! Rural camping as it should be. 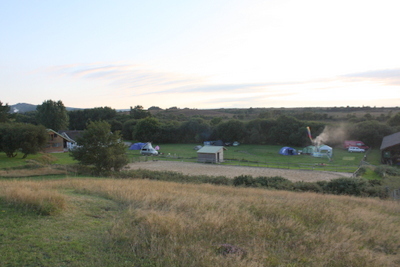 There is an area reserved for ‘private camping’ (meaning you can hire it for a group), however, you are free to walk into this area and climb the little hill to sit on the bench and admire the sunset over the adjoining heathland nature reserve. 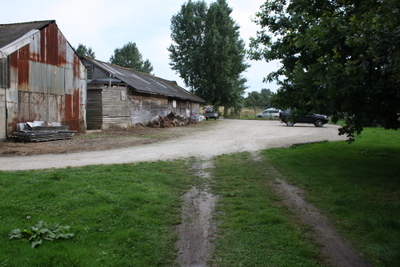 Camp Hartland is a working stud farm so there are horses grazing in the fields around and you may see them training on the menage behind one of the camping fields. A ten minute walk up a quiet lane will take you to The Halfway Inn, a very pretty thatched pub serving good food and with a pretty beer garden – however, be warned in order to get to the pub you do need to cross a very busy road at the end of the quiet lane. I recommend booking at busier times. 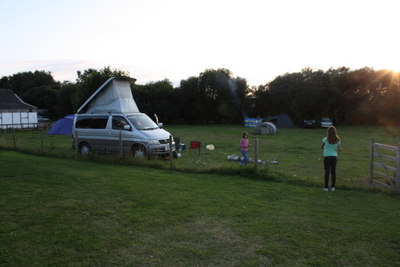 In all a simple and honest little campfire campsite in a good location with great showers. A place to remember come next August!